It’s all done and I really like it. 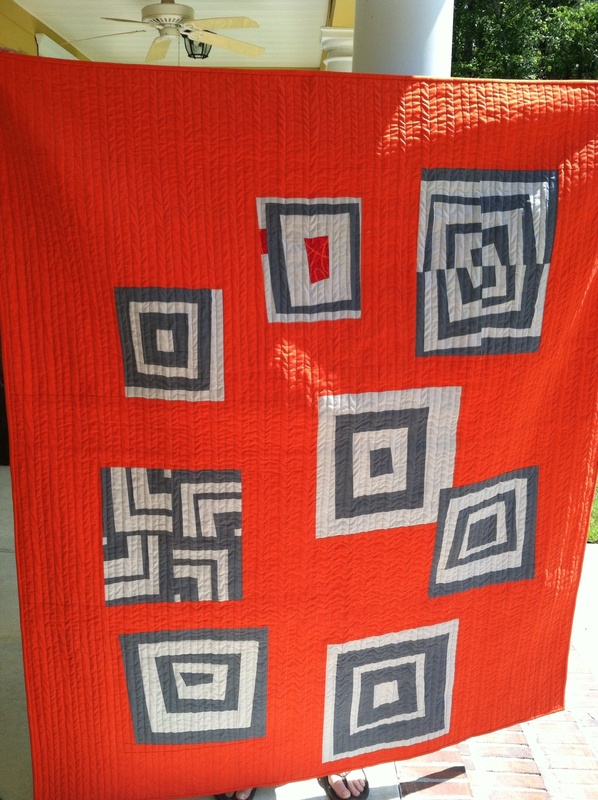 It’s a modern take on the Gee’s Bend quilting. I’m kinda crazy for wonky log cabin squares. Here are some things that worked well. I used my new 72″ ruler to mark the quilting lines. It was so easy to keep them fairly straight that way. It really was easy to square up the quilt at the end. 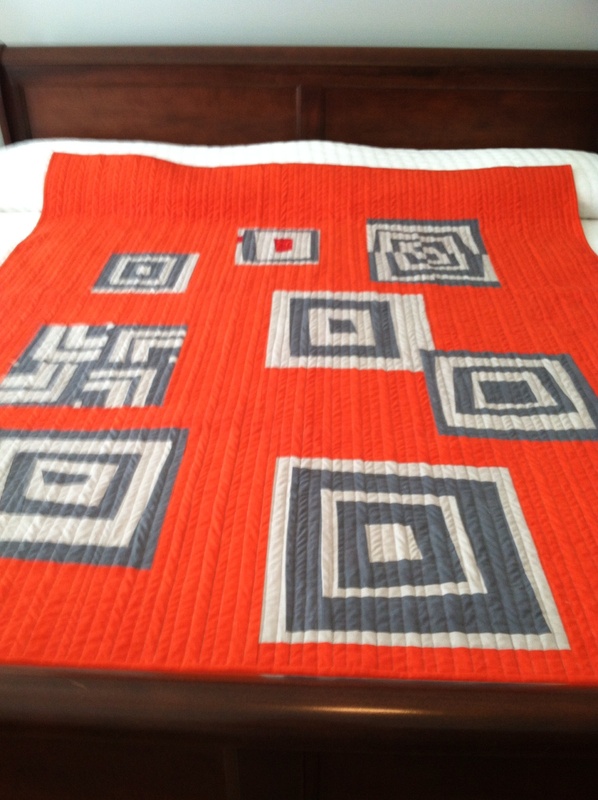 The fabrics I used were Kona Steel, Kona Ash and Robert Kaufman Quilters Linen Orange on the front. I love the quilters linen!! On the back the grey and white print is Moda Simply Style and the little touch of red and orange print is Poppy Modern by Andover. I’m glad it’s done. Onward to other projects! 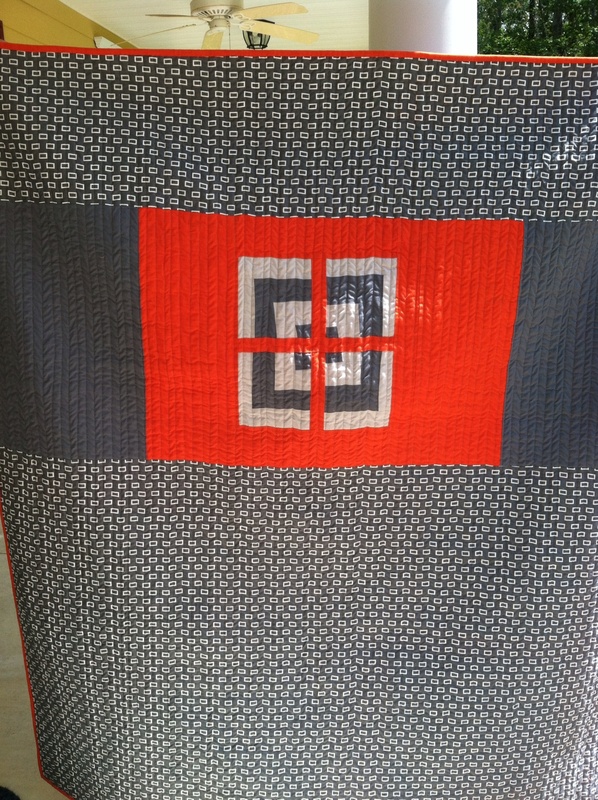 This entry was posted in Uncategorized and tagged Emerald Coast Modern Quilt Guild, Gees Bend, Modern Quilting, Quilting Rulers, Wonky Log Cabin. Bookmark the permalink. Just awesome, Diane. I love it and your quilting is inspiring. Keep up the good work. Looks so fabulous. I need one of those rulers. Beautiful, Diane! You are good at this!